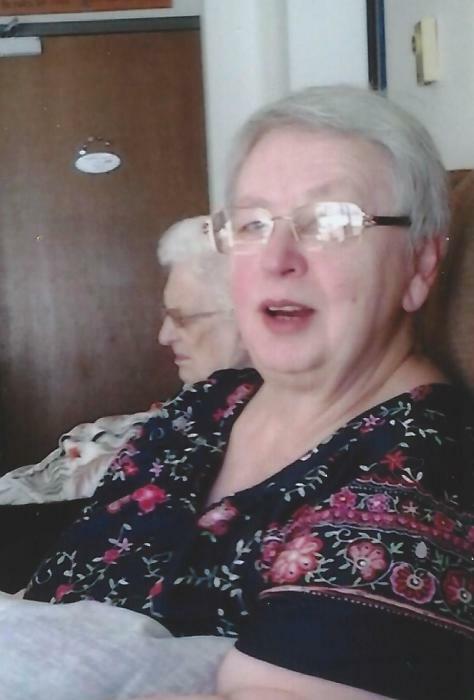 Linda I. Mikkelson, 70 of Chetek passed away Sunday, August 26, 2018 at Sacred Heart Hospital in Eau Claire, Wisconsin. She was born February 7, 1948 in Rice Lake, the daughter of Delores (Czwonka) and Basil Shaurette. Linda is survived by her husband Lonnie, stepchildren; Valerie (Barry) Hight, Tom (Kim) Mikkelson, stepgrandchildren; Jennifer (Jesse) Lehto, Peter Mikkelson, Brittany & Shannon Hight, great step grandson; Duke Lehto, siblings; Raymond (Marilynn), Kenneth (Jackie), Mary Shaurette, niece; Keishia (Doug) Kruchten and their two children Mercedies and Jameson, nephew; Aaron (Kimmy) Shaurette and their son Dekker. She is preceded in death by her parents. A memorial service will be held 11:00 A.M. Saturday, September 8, 2018 at the Funeral Home with Pastor John Kurschner officiating. Family and friends may gather one hour prior to the service for a visitation. Inurnment will be private at Northern Wisconsin Veterans Memorial Cemetery in Spooner, Wisconsin.